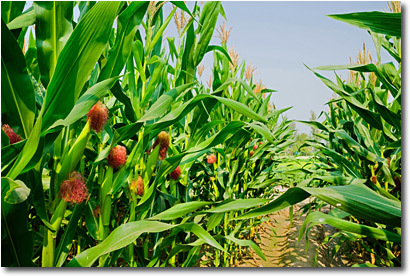 Have you lost profits due to lower corn prices? As a $14.7 billion global conglomerate, selling $3.2 billion in seeds alone, that operates in 90 countries and has more than 28,000 employees, Syngenta has a responsibility to the entire grain producing industry. Because of China's zero tolerance policy in regards to crops produced with unapproved seeds, and America's dominance in corn production and consumption, Syngenta was in a position to prevent a potentially billion dollar catastrophe for the industry that provides it billions of dollars of profits. Rather than warn American farmers, Syngenta had is marketing department develop Viptera advertising campaigns such as "Plant with Confidence" minimizing China's role in importing US corn. The damage done to the last two US corn crops isn't limited solely to growers of Viptera or Duracade corn, every farm that grew corn in the last two years of suffering from the effects of lower corn prices, prices that are down more than 50% from two years ago. Our agricultural commodity experts will establish how Syngenta has effectively lowered the price of corn worldwide by pushing a seed that created uncertainty about significant portions of the US crop. This uncertainty created volatility in the corn futures market, depressing the price of corn and costing American corn growers billions in lost profits. Corn prices were at $6.78 per bushel October 31, 2012 and, after rising to a high of $7.13 in March of 2013, fell back to $4.63 by October 31, 2013. The following month China refused the first shipment of corn from the US after testing positive for the MIR 162 trait. The price received for US corn as of November 30, 2013 was just $4.37. A thorough analysis done in April of 2014 by the National Feed and Grain Association estimated losses to the US agricultural industry at $1.1 - 2.9 billion for the 2013/2014 market year and up to $3.4 billion for the 2014/2015 market year. Furthermore, it is unknown just how long and widespread this problem will become. Until August, there were still hopes for China's approval of the MIR 162 trait, not only did that not occur, but China also announced it was abandoning its own transgenic corn development program, suggesting MIR 162 may never be approved. Additionally, soybean prices have even seen volatility due to fears of potential MIR 162 contamination. Read Syngenta lawsuit frequently asked questions. Bunge North America began refusing to purchase corn grown from Viptera seed in 2011 and was sued by Syngenta. The lawsuit was dismissed and when Syngenta appealed only a single claim was sent back to the lower court to be litigated. Trans Coastal Supply Co. filed a lawsuit against Syngenta in September 2014, alleging that the company had lost $41 million dollars because of China's ban on corn bearing the MIR 162 trait. Weeks later Cargill filed suit against Syngenta, alleging that Syngenta exposed it to more than $90 million in losses by selling Viptera corn without first gaining China's approval. Read Syngenta lawsuit frequently asked questions. These individual lawsuits were followed by class action lawsuits filed against Syngenta over Viptera and Duracade corn in three states so far, all by a Washington, D.C. law firm. The Onder Law Firm, which is based in St. Louis and has a proven track record against billion dollar multi-national conglomerates, is now investigating claims against Sygnenta by farmers and related agricultural businesses over Syngenta's Viptera and Duracade corn strains. The Onder Law Firm is offering free, no-obligation attorney consultation to those who feel they have incurred losses as a result of their involvement in corn production, processing, transportation, storage and exportation, regardless of whether that corn was Viptera or Duracade. The Onder Law Firm will represent all persons involved in a Syngenta lawsuit on a contingency basis, meaning there are never any legal fees unless we win compensation in your case. For a free no-obligation consultation please fill out our short online contact form or call us at 1-844-223-2676 and one of our attorneys handling Syngenta lawsuits will contact you to answer any of your questions. The Onder Law Firm is a St. Louis based law firm handling serious injury and death claims across the country. Its mission is the pursuit of justice, no matter how complex the case or strenuous the effort. OnderLaw, LLC has represented clients throughout the United States, and other firms throughout the nation often seek its experience and expertise on complex litigation. It is a recognized leader in products liability cases such as window blind cord strangulation and pharmaceutical litigation and is currently serving in leadership roles in important national litigation such as Yaz/Yasmin, Pradaxa and Lexapro. The firm has represented thousands of persons in these and other products liability litigation, including DePuy hip replacement systems, which recently settled for $1.5 billion and Pradaxa internal bleeding, which settled for $650 million.